Over the next few months, commuters and pedestrians will be exposed to a wide-spread national PPC Cement Taxi Campaign implemented by leading transit media company Transit Ads™. PPC is a leading supplier of cement and related products in southern Africa, with 11 cement factories in South Africa, Botswana, DRC, Ethiopia, Rwanda and Zimbabwe. PPC’s capacity is around eleven and a half million tonnes of cement products each year and their mission is to empower people to experience a better quality of life through all their products. 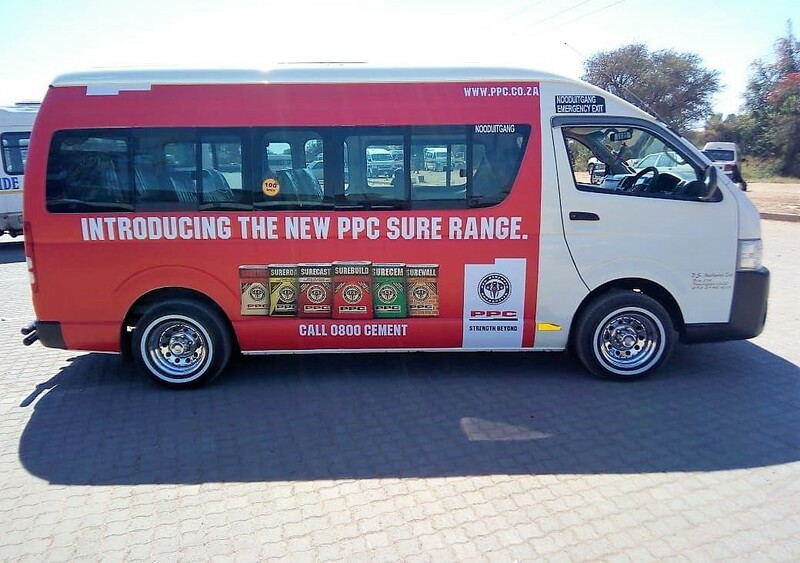 To keep their products top of mind amongst a variety of audiences, PPC Cement has commissioned Transit Ads™ to wrap 137 taxis across the country. Of the 137 taxis, 73 have a full wrap and 64 a full back. 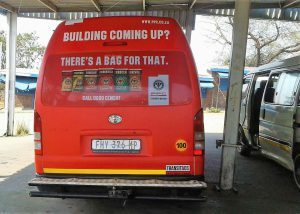 This OOH marketing strategy is part of a broader campaign by PPC Cement to showcase their different products. With the opportunity for exposure and engagement provided by this extensive taxi campaign, PPC has access to a huge audience across the country on a daily basis. Routes have all been strategically selected ensuring the best opportunity for promotion to PPC Cement’s audience. Transit Ads™ implements extensive and continuous research to ensure that audiences are reached effectively with maximum exposure for the advertiser. Apart from the frequency and visibility along main routes, the messaging is exposed to consumers at taxi ranks and main transit nodes, areas which experience high footfalls and present long dwell times. Minibus taxis remain the dominant form of public transport in South Africa with over 15-million commuter trips taking place daily. For advertisers this means frequency, visibility and high brand recall.